Why Buildings use Wood ? People find wood of all sorts attractive. And there are many sorts of wood to choose from. Wood affects all our senses. It has texture and colour and a sense of depth. Artificial substances often try to mimic the look of wood. Wood has a natural grain that people find attractive. Natural grain is a semi-random pattern that is never sterile or chaotic. When this is combined with neat, organized lines the combination or order and semi-randomness is pleasing. There are many types of timber from many different types of tree. Most of these timbers are quite strong. All of these can be altered in appearance with staining. This means there is almost always a suitable timber for any building situation. Wood will act as an insulator, resisting temperature changes between surfaces. So a wooden floor will not be as cold as the ground or air beneath it. Metal and some other substances cannot do this. Trees will absorb greenhouses gasses while they are growing. Timber from trees will store these greenhouse gasses. If we are constantly planting new trees whilst using mature trees for building material then we are constantly helping to remove greenhouses gases from the environment. Timber, especially if used indoors, will last for decades under reasonable conditions, if not centuries. One of the few things that will threaten timber is flooding, but this is a threat to almost all building materials. Timber is very durable and long lasting. 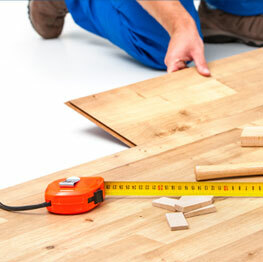 An advantage of hardwood floors is that they can be re-sanded to restore their new appearance. This saves us from replacing the floor. Posted in Business, Floor Sander, Floor Sanding, Northern Beaches, Sydney.